일상생활에서 자주 쓰는 영어표현을 배우는 'VOA 현장영어' 입니다.미국은 1회용 제품의 천국이라고 해도 과장된 표현이 아닐 정도로 1회용 제품이 흔하고 다양하지요. 종이 컵, 종이 접시, 종이 수건 등 종이로 만든 1회용 제품들 뿐만 아니라, 튼튼하게 잘 만들어진 플라스틱 접시, 컵, 포크, 수저, 칼, 포도주 잔 등, 한 번 쓰고 버리는 제품들은 그 종류와 수를 헤아리기 힘들 정도로 많습니다. A: I think we are using too many disposable items these days. B: You’re absolutely right.We need to stop using disposable plastic plates and Styrofoam cups. A: Yes. Plastic and Styrofoam take a long time to decompose. B: That’s correct. We need to use glass or ceramic instead. A: That way we can reduce waste in landfills. B: We can also save some money by doing so. A: In addition, we should avoid using aerosol cans. They are not recyclable. B: Oh, I thought they were recyclable. A: No, they are not. Pump spray bottles are recyclable. 요즘 우리는 1회용 제품을 너무 많이 사용하는 것 같습니다. * absolutely: 전적으로, 완전히. 상대방의 말에 맞장구를 치면서 “당신 말이 전적으로 옳아요.”라고 할 때 간단하게 “Absolutely!”라고만 해도 됩니다. We need to stop using disposable plastic plates and Styrofoam cups. 1회용 플라스틱 접시와 스티로폼 컵을 그만 사용해야겠어요. 네. 플라스틱하고 스티로폼은 분해되는데 오랜 시간이 걸립니다. 맞아요. 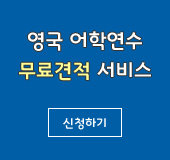 대신 유리와 도자기를 사용해야겠어요. 그렇게 하면 쓰레기 매립지로 가는 쓰레기를 줄일 수 있어요. 그렇게 함으로써 돈도 절약할 수 있어요. A: In addition, we should avoid using aerosol cans. 그리고, 가스 충전식 분무용기의 제품을 사용하는 것을 피해야 합니다. * recyclable: 재활용할 수 있는, ‘recycle’은 무엇을 재활용하다는 말이고, ‘recycled’라고 하면 ‘재활용하여 만든’이라는 말입니다. 아, 저는 그것들이 재활용 가능한 것인 줄 알았어요. 아뇨, 그렇지 않습니다. 펌프식 분무 용기들은 재활용이 가능합니다. 이제 대화 내용 중에서 “일회용 제품”라는 표현을 활용해서 영어로 간단히 대화를 주고 받는 연습을 해볼까요? A: People use too many disposable items these days. B: That’s right. That causes lots of waste in landfills. A: 요즘 사람들은 일회용 제품을 너무 많이 사용합니다. B: 맞아요. 그러다 보니 쓰레기 매립장에 많은 쓰레기를 유발합니다. A: We need to recycle to save natural resources. B: We also need to reduce disposable items. A: 우리는 자연 자원을 보전하기 위해 재활용을 해야 합니다. B: 우리는 또한 일회용 제품을 줄여야 합니다. A: Let’s reduce disposable items. B: Yes, let’s. We’ve been using too many plastic and Styrofoam items. A: 1회용 제품 사용을 줄입시다. B: 네, 그렇게 하죠. 우리는 플라스틱과 스티로폼 제품을 너무 많이 사용해왔습니다. I think we are using too many disposable items these days. Yes. Plastic and Styrofoam take a long time to decompose. That’s correct. We need to use glass or ceramic instead. That way we can reduce waste in landfills. We can also save some money by doing so. In addition, we should avoid using aerosol cans. Oh, I thought they were recyclable. No, they are not. Pump spray bottles are recyclable.